Home Apple Will iPhone Do Your Homework? Will iPhone Do Your Homework? Those days, when student needed only a paper and a pen to study, are gone. Nowadays we have varieties of gadgets which help us in every day life. 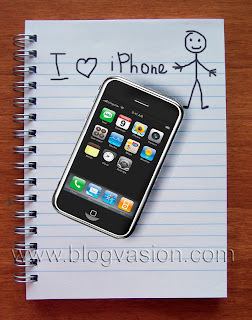 Apple iPhone is the new weapon of education, if I can say so. At least one university will use it to receive homework alerts, answer in-class surveys and quizzes, get directions to their professors' offices and check their meal and account balances. Abilene Christian University (ACU), in Texas, is the place where it will happen. This university will be providing all of its first year students one of Apple's new iPhone mobiles or the wireless-enabled iPod touch. The university's IT department has developed "more than 15 other useful web applications" for use on the gadgets. They are not only providing cutting-edge technology tools to their incoming students, they are also providing the web applications that ensure these tools will become critical to the students learning experience. “Because 93 percent of ACU students bring their own computers with them to college, we are choosing to take them to the next level by providing converged mobile devices;” says Phil Schubert, the executive vice president of the ACU. The new iPhone/iPod program will begin at the start of the new academic year. What’s next? Will iPhone help us to choose the color of tie for the banquet?